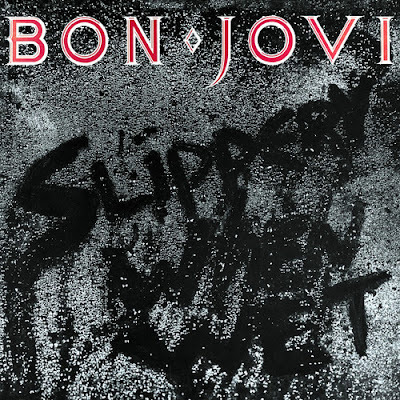 Bon Jovi's third studio album, Slippery When Wet, was released on August 18, 1986. I had just moved to California (South Lake Tahoe, to be specific) to live with my mother. I was 12 and entering the 7th grade. My mom's new boyfriend at the time (now my step-father) had a friend with a 10 year old daughter. I was introduced to her and we became BFFs in one evening. One of the things we bonded over was this new-ish rock band and their super cute lead singer with his big hair. She and I would blast "You Give Love a Bad Name" and then "Livin' on a Prayer". We would watch MTV and scream and giggle when their videos came on. And then. And THEN! Just after 1986 became 1987, we found out Bon Jovi would be playing at Lawlor Events Center in Reno, Nevada, the closest city to us in Lake Tahoe. But we had no money and the concert date was too close and there probably weren't any seats left anyway and WAAAAAA! Woe is us! Then something amazing happened. My mom's boyfriend's roommate surprised us with tickets to the show. He and my friend's mom would take us girls. You cannot imagine the squealing! On January 23, 1987 I went to my first concert. I sat in the very top, nose-bleed, row of the arena and rocked out to my favorite band. 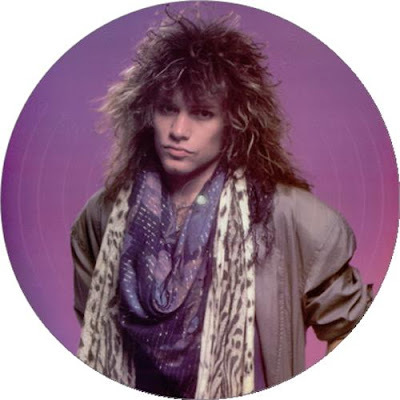 Jon wore that infamous Superman jean jacket of his (oh yes you ARE a super man, Jon!) and told a funny story about how they wrote "You Give Love a Bad Name". Jon flew out onto a pedestal in the middle of the floor crowd for a song. They were AH-MAY-ZING! We may not have been close to the stage, but Jon made us feel like he saw us. I may have lost my voice yelling and singing along. Like I cared. I got to see the hottest rock band of the '80s in concert! Major swoon. 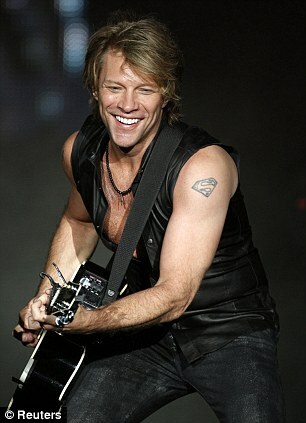 I STILL swoon over Jon Bon Jovi. He is pretty much the other love of my life. I was listening to Pandora while out for a walk yesterday. Of course Bon Jovi is one of my stations. A live version of "Wanted Dead or Alive" came on. Jon said, "this is for all the cowboys out there", and the crowd went wild. A big grin came across my face, and when he started singing, goosebumps covered my skin. Their music, his voice and smile will never get old for me. Sadly, that was the only time I've seen Bon Jovi in concert. It's a tragedy. I'm not a very good fangirl, am I? Linked up with Mama Kat's Writer's Workshop.